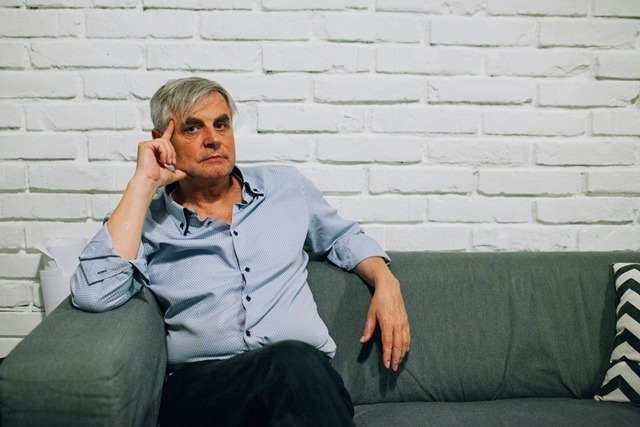 Fedor Blaščák: Rem Koolhaas might have been right when he wrote 30 years ago that we are left with a world without urbanism, only architecture, ever more architecture. What happened with the cities without urbanism? Zdeněk Ent: What has prevailed is the so-called land urbanism and that naturally turned out very bad for the structure of cities, especially in the cities with history. Yet, at the same time I think that we need a bit of chaos in order to move forward. Will historians refer to these decades as the dark ages of urbanism? Perhaps they will. They will depreciate it, they might use metaphors about scattered tea leaves or Klondike. These chapters will tell the stories about how the clash of capitalism and globalisation steamrolled urbanism and about how politics – against the backdrop of privatisation and huge property transfers – lost its ability to control the structure of a city. You can do something, but the interventions have often reached such a large scale that changes are basically irreversible. Tearing down a house is hard, repairing a chaotic district is impossible. When they in Rotterdam discovered that new urbanism was not working, it was all razed to the ground and built anew. Sure it goes when there is money and capital. But that’s not our case, don’t you think? You know, the Dutch perspective is completely different, they recovered soil and land by drying the sea, obtaining thus 20-30% of the country, that’s why land is precious for them. In their case it is a necessity. But there is more place here and when someone built hideous “businessman baroque”, nobody can do anything about it today. There is nothing you can do. What’s your view of the function of context – respecting or having no regards? An architect should be humble and that’s why he/she should always respect the context, developing it. Building without regarding the context is nothing but shameful dirt. Which new buildings in Bratislava have you had a chance to check out? I’ve seen a couple of new development projects that are beyond any understanding. Classic examples of disregard. Eurovea. It may slightly react to the river, but the rest of the houses have gone totally out of scale. Actually, it’s an overall trend – the same is with the new Hafen City in Hamburg. It’s shown as an example of successful development, but one gets lost there. Architecture of these places detaches a person from the place. I don’t understand it at all and, actually, it creeps me out. Not far from Eurovea, New Zaha Hadid will be built. So what? So long then and thanks, she really had a sense for the context. Well, nothing, just there will be three more phalluses in the Bratislava’s skyline. 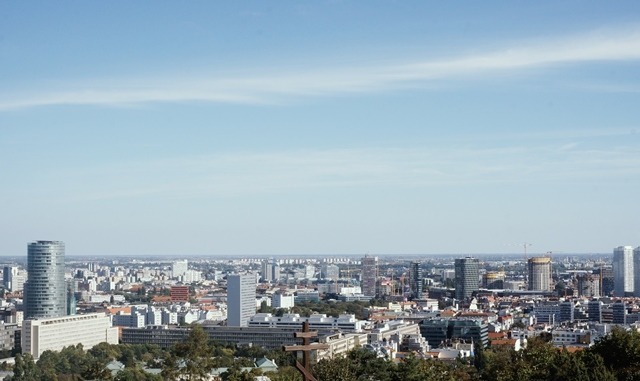 Architect Štefan Šľachta called Bratislava “gap-toothed” due to its scatteredness of the new high-rise buildings. They’ve ruined the city skyline. The skyline is vital. Just as a shape of a house is vital, so a shape of a set of houses is vital for the city. The skyline to a large extent determines how we perceive the city. The skyline is more that any single house that’s part of it. When you look today from Hradčany (Prague’s castle district) below at the roofscape of Malá strana ruled by Bramac, what’s happening in your head? Whether Bramac or something else is on the roof is in fact unimportant. The roofscape will bear it, as the roof cover is merely an aesthetic detail. The power of skyline lies in the arrangement of structure and no detail can really affect it. Do you find Bratislava as a city with a certain structure? It fascinates me how Bratislava is wrapped around the foothill of the Carpathian mountains. It’s a very powerful moment that the city begins where the mountain massif ends. Does the city communicate well with the hill, in your opinion? I don’t know. But one can feel it and people should work with it more, as it’s unique. Maybe this is the intention of the UFO on the bridge and I like it. The Kamzík television tower communicates with the hill very nicely. How would you defend the need for increasing urban density? Through economy and comfort. Increasing urban density is the fate of a city. There is no other way. Prague has a set line beyond which it mustn’t expand – what is it good for? It’s a strong reason why housing prices grow. The population density in Prague is half as large as in Vienna or Berlin. Although there is enough space, it would be a pity to take over the land outside the city. To run the colonies of family houses on the city outskirts is very pricy. It’s much wiser to build flats, you save both space and means. In fact, a family house in a city is a huge luxury. Does Prague today have its development under control? As it was sold off in the past and nowadays, land owners with developers are more powerful players. I don’t mean it pejoratively, as slapping a capitalist today is very easy. But it’s a fact and we can think about it also as an occasion to improve democracy. Simply to improve the level of discussion because we won’t get anywhere without having a discussion with the developers. We have to learn how to come to an agreement. What is the discussion with Slovak developers in Prague like? Does, for example, the Penta financial group have a good name? It doesn’t, in my eyes. I think that they are an insensitive developer, a power developer. But they have good public relations. And are there any sensitive ones? There are. For instance, Skanska or some other big foreign players. They brought a different culture, trying to include the citizens in the decision-making process of the projects. They are more sensitive when it comes to the choice of architects. Sekyra group are trying pretty much too. What advice would you give to a citizen, to a politician and to a developer, if they want to meet their common interest in a better city? To a citizen: vote for a sound and decent politician. To a politician: work for the benefit of the whole. To a developer: try to understand that the price of a flat to be built and sold depends also on the quality of the surrounding public space. Do you realise that today, development is a business segment with the largest profit margin? Well, that’s possible. We’ve discussed Klondike and the fact it’s a road to nowhere. I admit that some people might get quite rich, but they won’t be in historical books, or if, they’ll be there as a shameful example. Is the Prague’s Institute of Planning and Development (IPR) an established and strong partner in the discussions between politicians and developers? There is a lack of political support. The genesis of IPR was put forward by mayor Hudeček from TOP 09 party. Then the lost in the election. The following politicians started to go against IPR. They wanted to cancel it, fired the director etc. The relationship between the institute and politicians is by far not ideal. IPR has less respect among politicians than ever before. Even the best institute with the best people means practically nothing when there is no political will or support.